Most of you are aware that we are true saltwater fishermen both by career and by heart, however, it doesn’t mean we’d turn down an opportunity to venture outside of our box. Disney World has always held a special place in our hearts. We grew up traveling to Disney since we were old enough to walk. A few weeks ago, Amanda received a message from a follower asking if we’ve ever gone bass fishing in Disney. We quickly did some research, made a phone call and we were booked! Click here to watch the video or keep scrolling to continue reading! Disney World has partnered with Take Me Fishing to provide a unique experience for each guest. They offer guided bass fishing tours at the Caribbean Beach Resort, Disney Springs, Epcot, or Magic Kingdom! 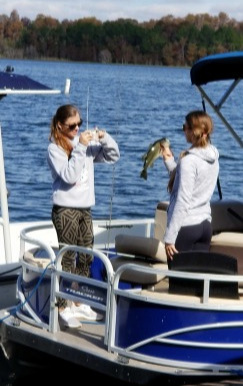 You can choose to fish from a pontoon boat or a Nitro bass boat for 2 or 4 hour excursions. We chose the pontoon which gave us plenty of extra space to walk around. They also provided us with a cooler filled with water, soda and sports drinks and all the tackle we could need. All we had to do was show up! Disney fishing guide and our coordinator Joe! Our Disney bass fishing guide Tim! We were first greeted by Joe, our coordinator at the Wilderness Lodge Campground marina. He introduced us to Tim, our guide for the day, and soon we were off to catch our first largemouth bass! Tim supplied us with live Arkansas Golden Shiners as well as artificial lures which allowed to us to catch more bass if one technique wasn’t working. 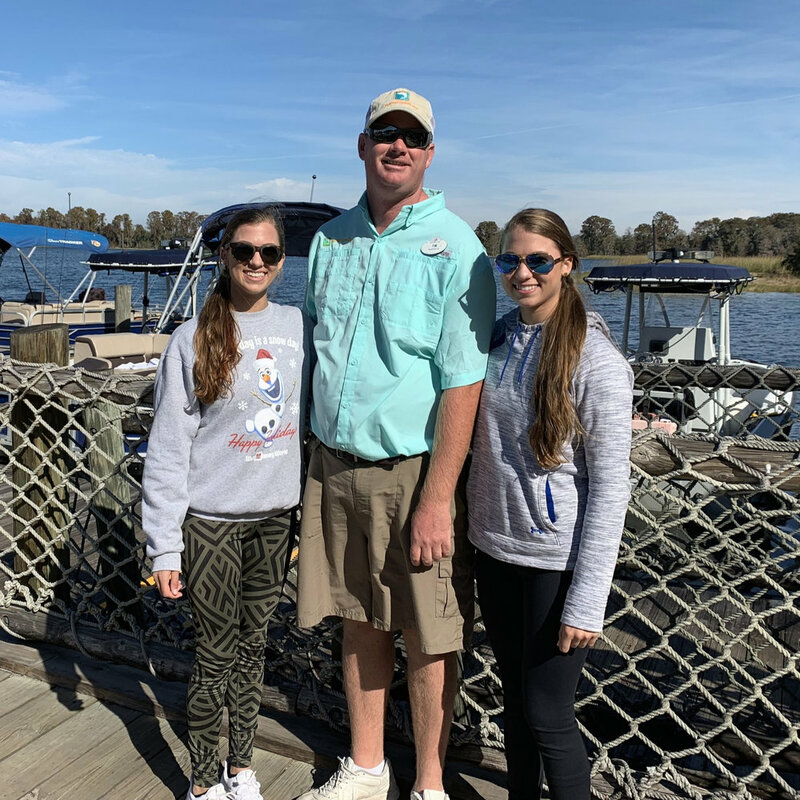 We fished in many areas of the lake, underneath the monorail, next to the Contemporary Resort, the Grand Floridan Resort, and even in front of Magic Kingdom and Cinderella’s Castle! Tim was very knowledgeable and provided us with some fun Disney history like the infamous Bay Lake Shoe Tree! Before heading back in we caught and released a total of 19 largemouth bass! Once back at the dock, we met more of Disney’s bass fishing guides. Each of them were eager to hear about our day and took the time to talk to us. Every Disney guide we met were skilled, happy to help, and made sure our time was well spent! We can honestly tell you all the staff was superb and Joe and Tim gave us a truly magical Disney experience. We highly recommend them to anyone who loves to fish or are new to the sport. This would be a rewarding day for kids and adults to “get their fish on”! Disney guide Paul with a 7 pounder!